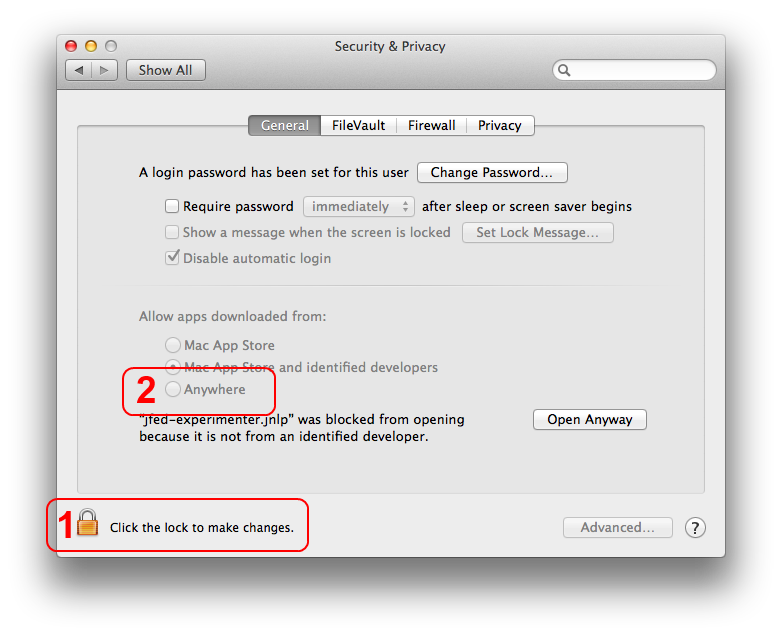 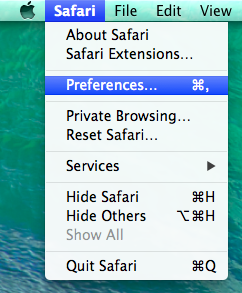 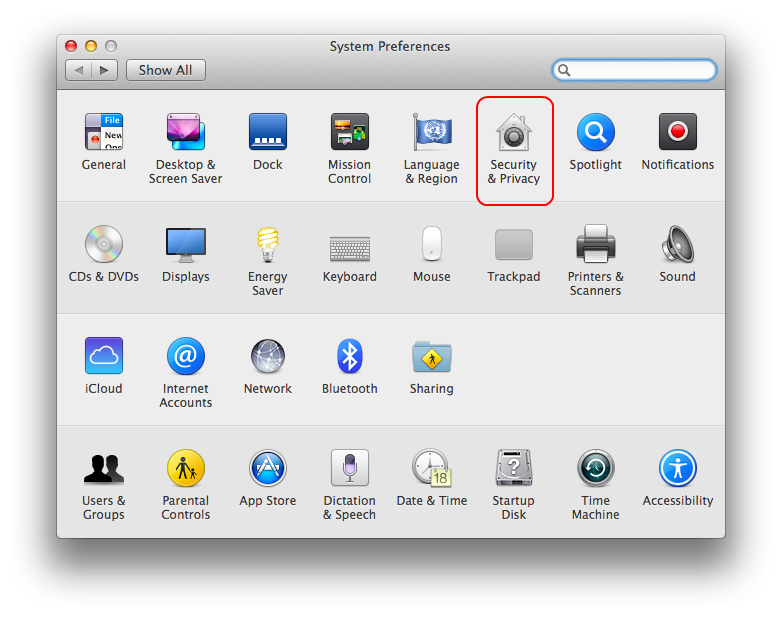 In recent OS X versions, you may also need to lower security settings, which depends when you use Firefox (Changing OS X Security Settings (needed for Firefox, not for Safari)) or Safari (Changing Safari Security Setting (Safari only)). 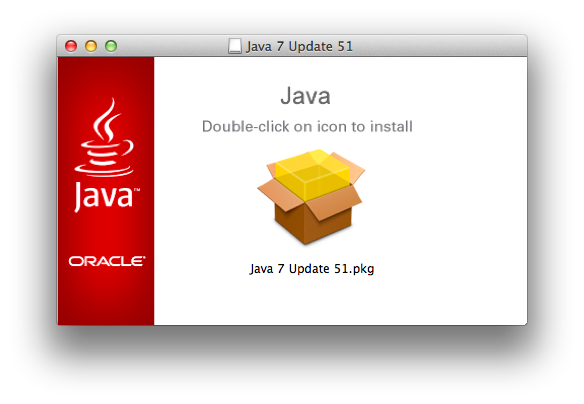 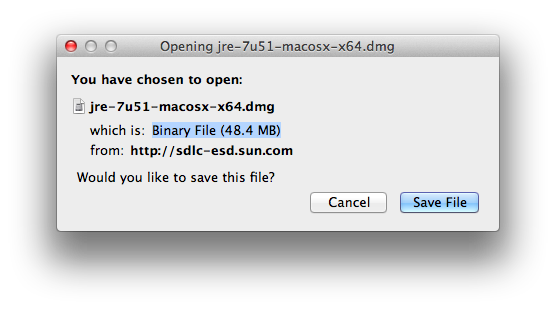 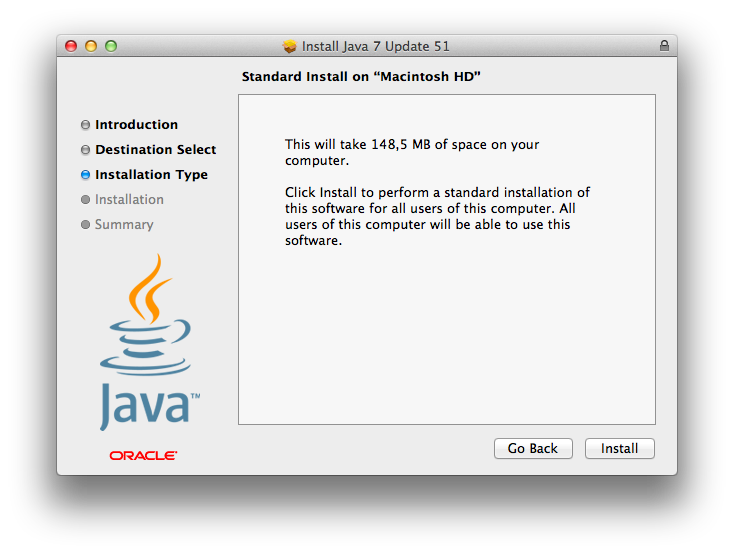 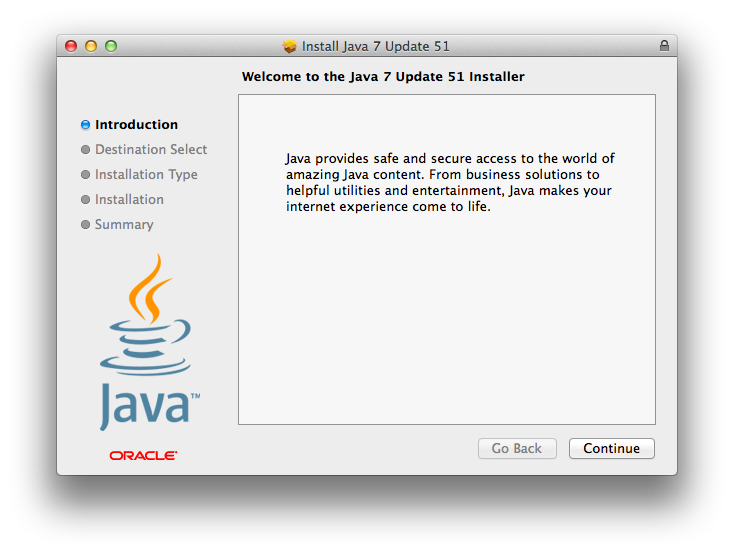 You need to have a recent version of Java 8 JRE installed on your Mac. 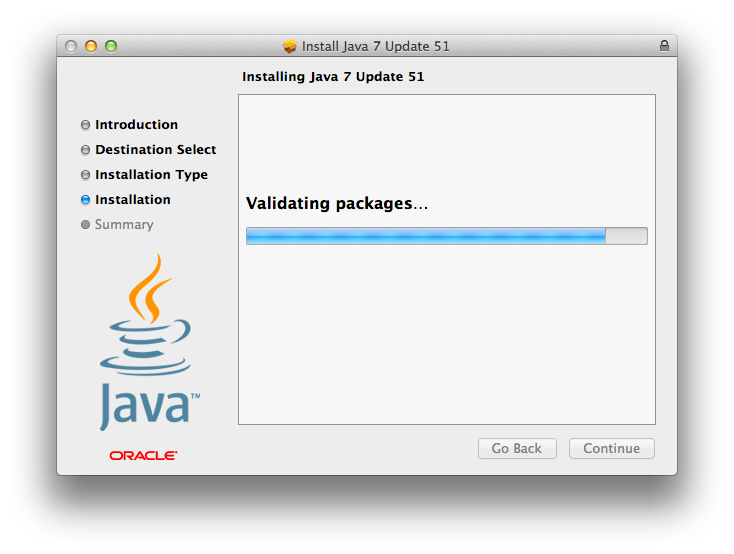 You can verify which version is currently installed on http://www.java.com/verify. 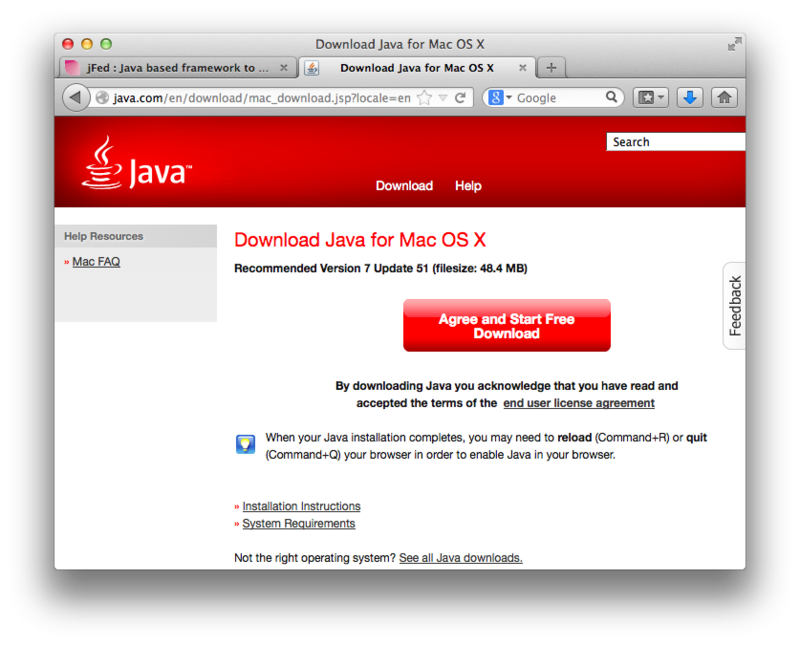 If your computer fails the verification, you can download the most recent Java 8 JRE from http://www.java.com, as shown in the screenshots below. 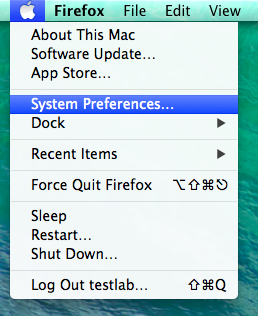 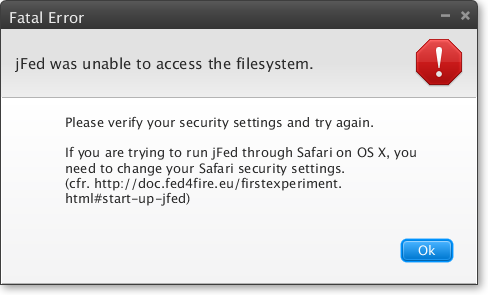 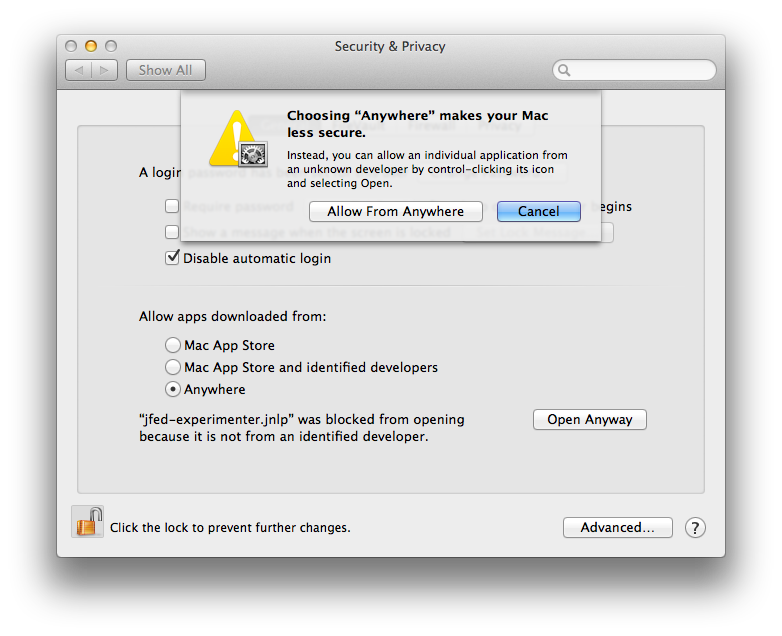 By default, OS X does not allow applications outside of the App Store (such as jFed) to run. 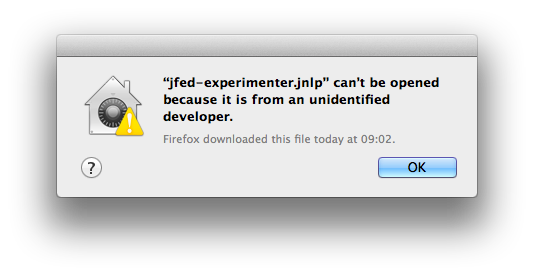 This causes the error "jfed-exerimenter.jnlp" can't be opened because it is from an unidentified developer. 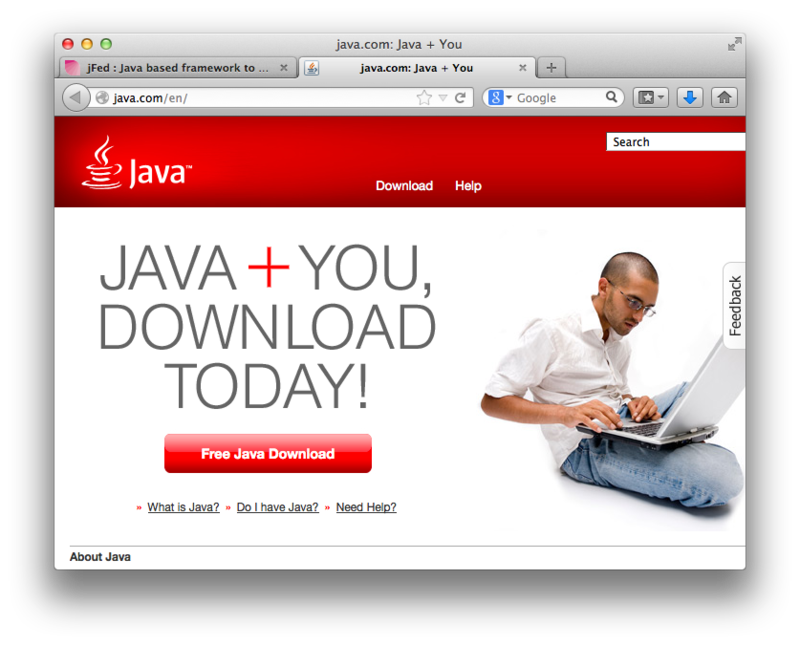 to appear. 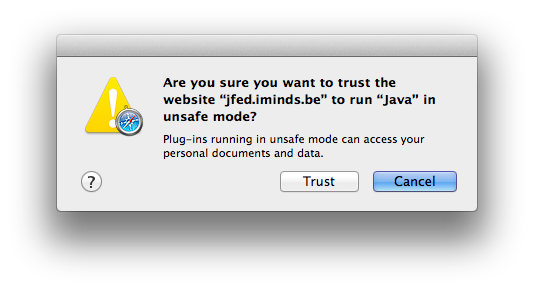 By default, Safari sandboxes Java applications and doesn’t give them permission to access the filesystem. 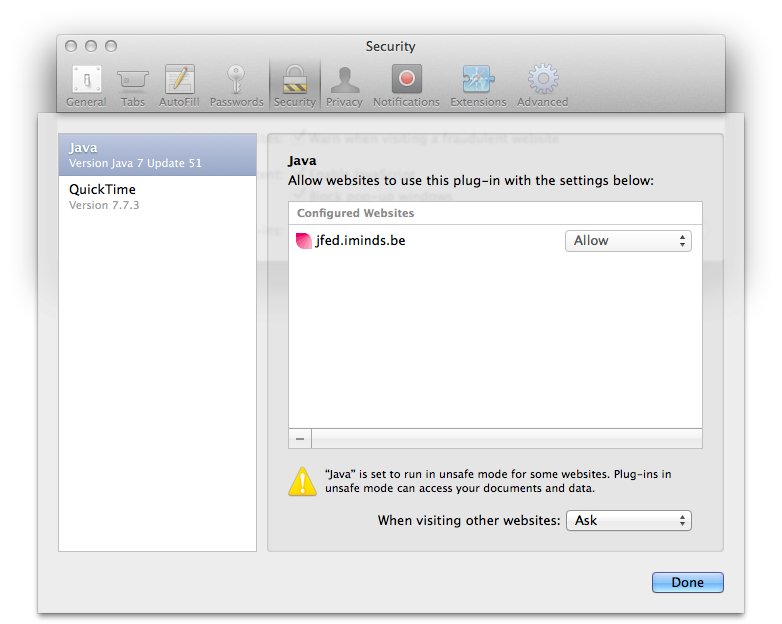 This causes jFed to fail, as it needs disk access to access your user certificate. 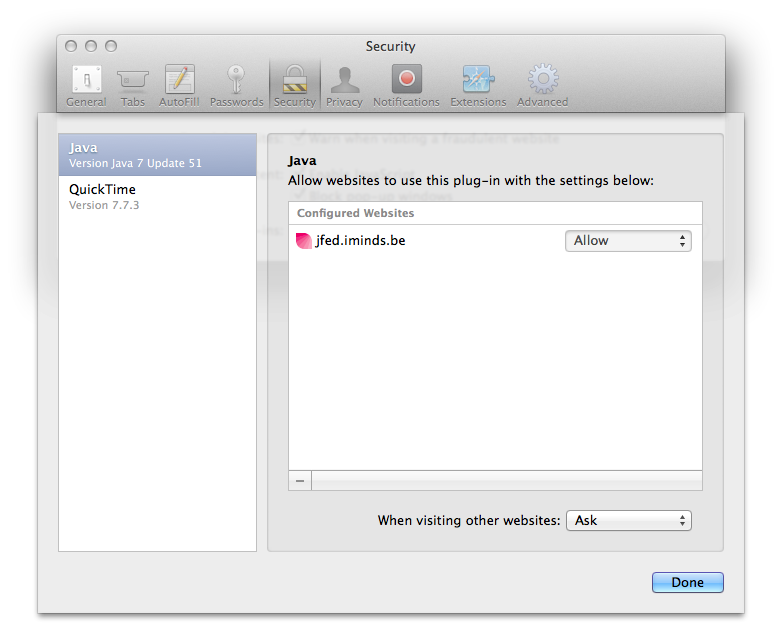 Go to the tab Security and open Manage Website Settings..
Change the setting for jfed.iminds.be from Allow to Run in Unsafe Mode`.